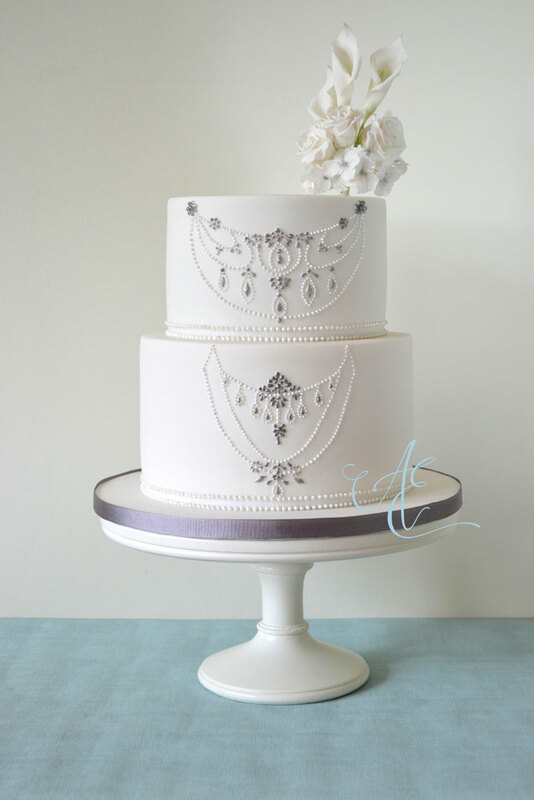 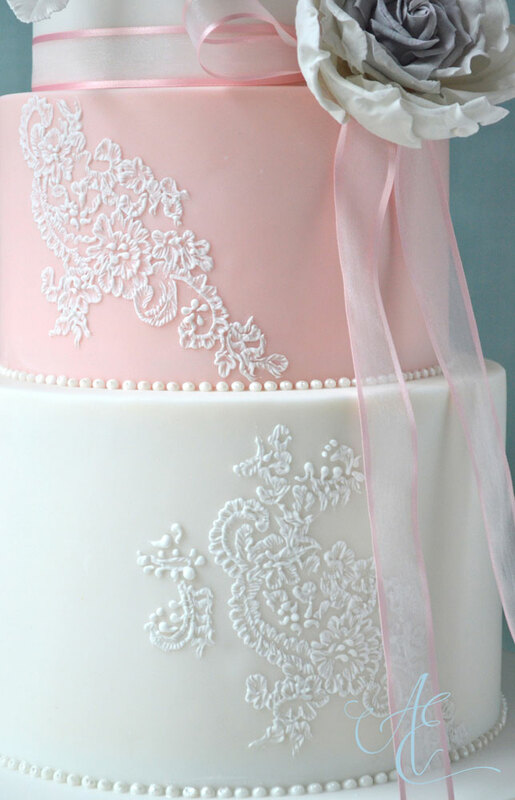 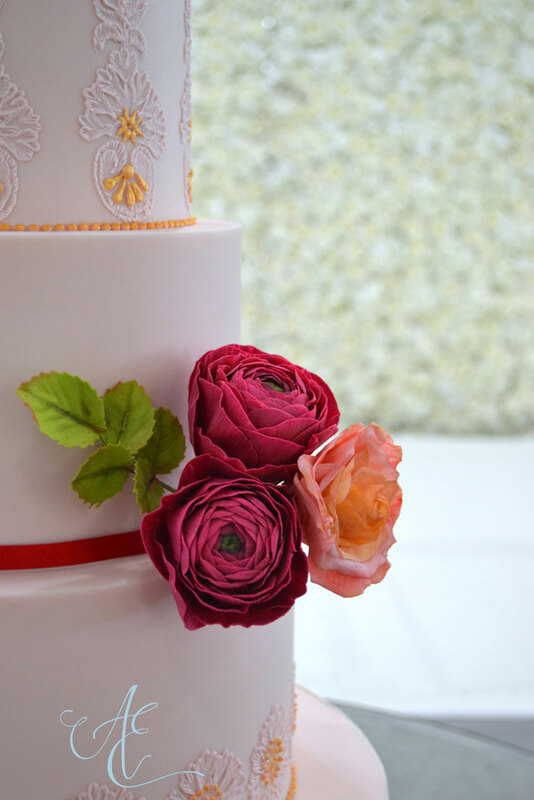 We love to make your cake as individual as you. 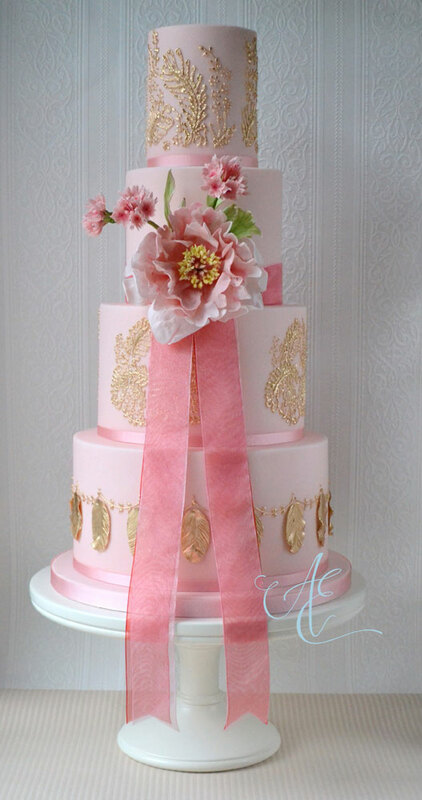 We will guide you from the initial concept through to the final design. 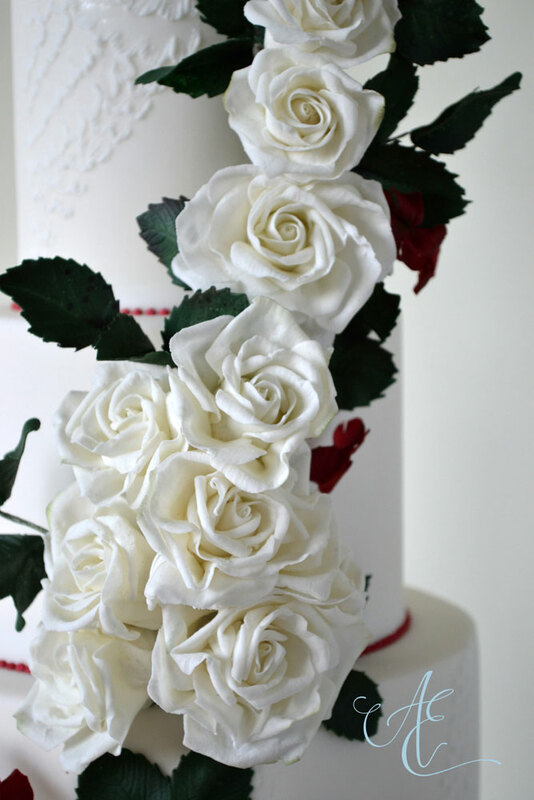 Here is a selection of our work, designed specifically to reflect the style of our discerning clients. 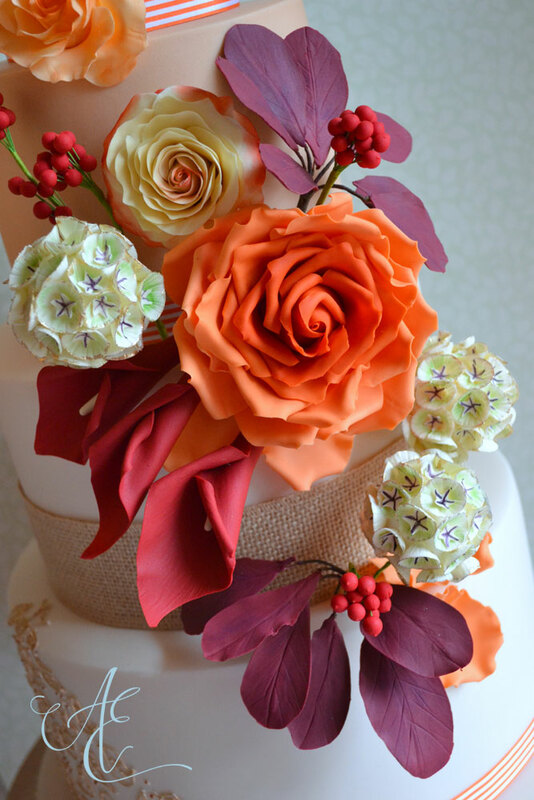 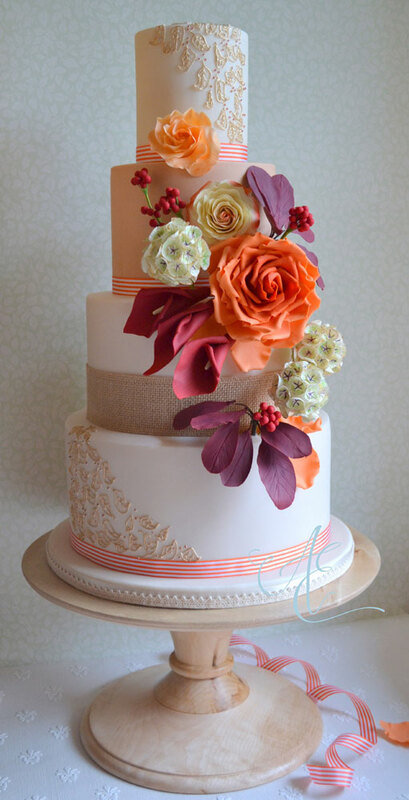 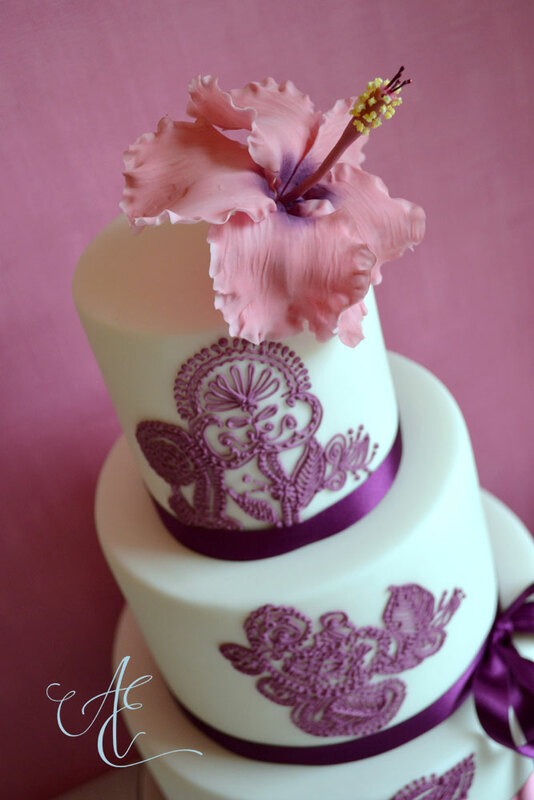 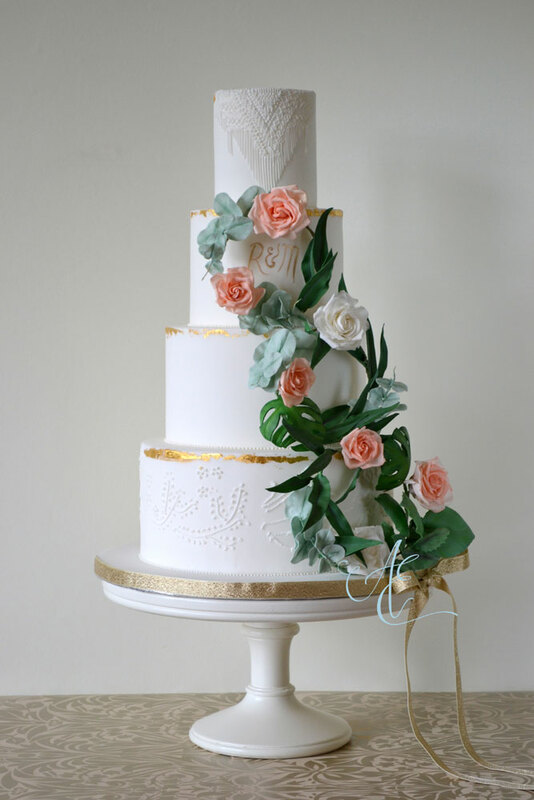 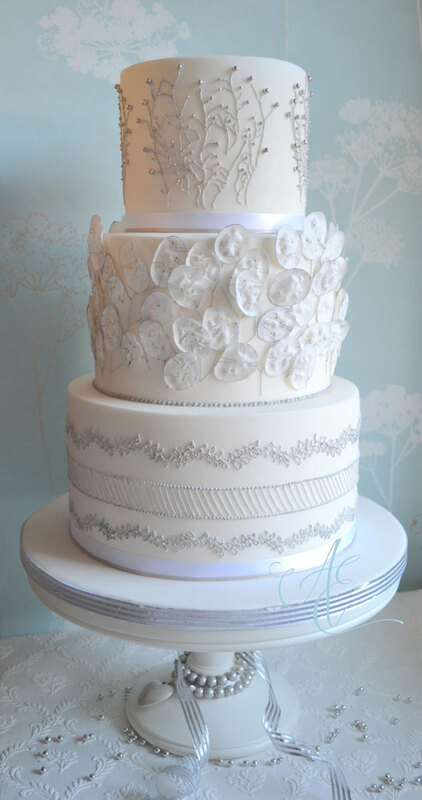 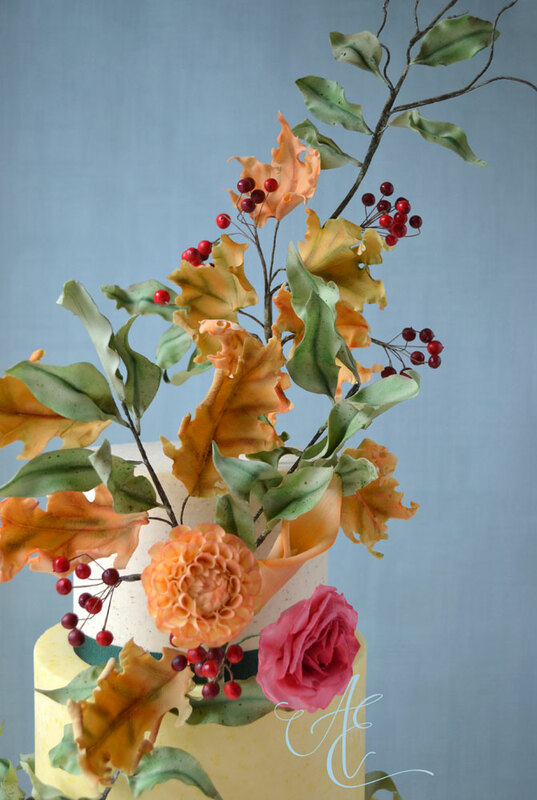 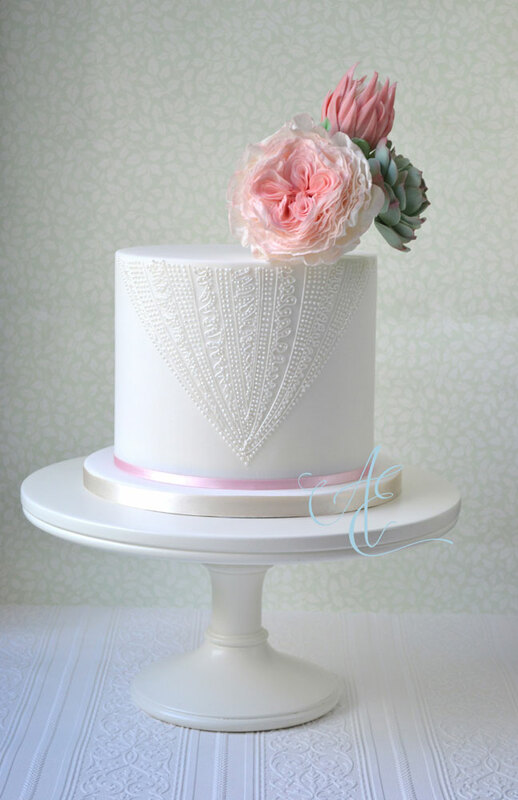 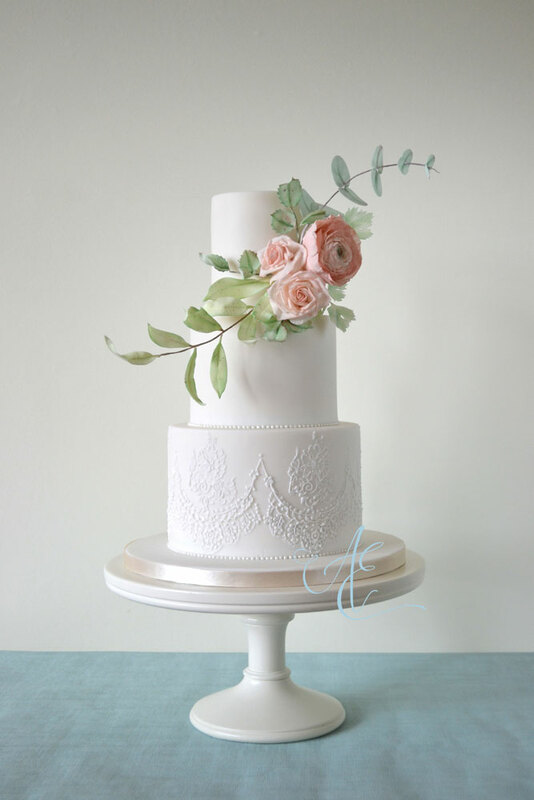 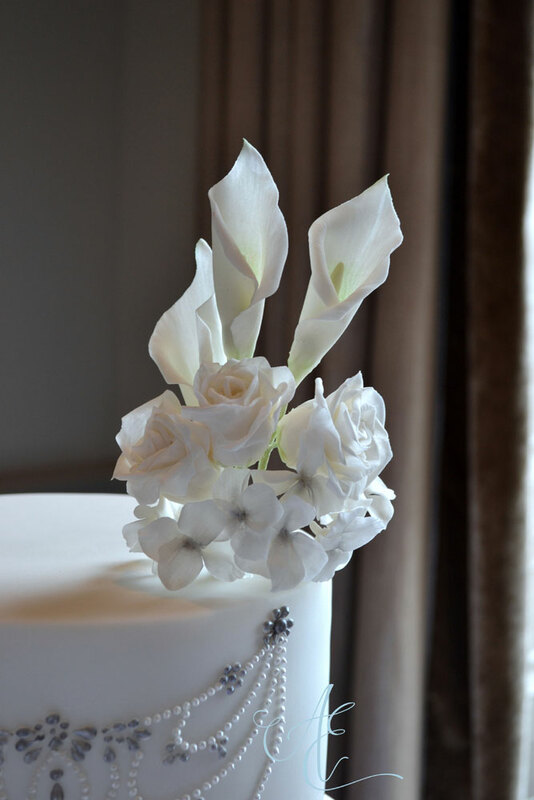 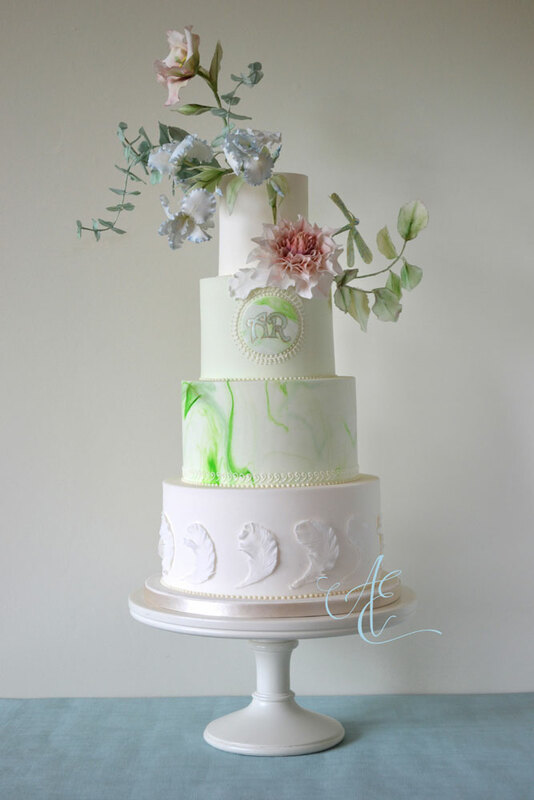 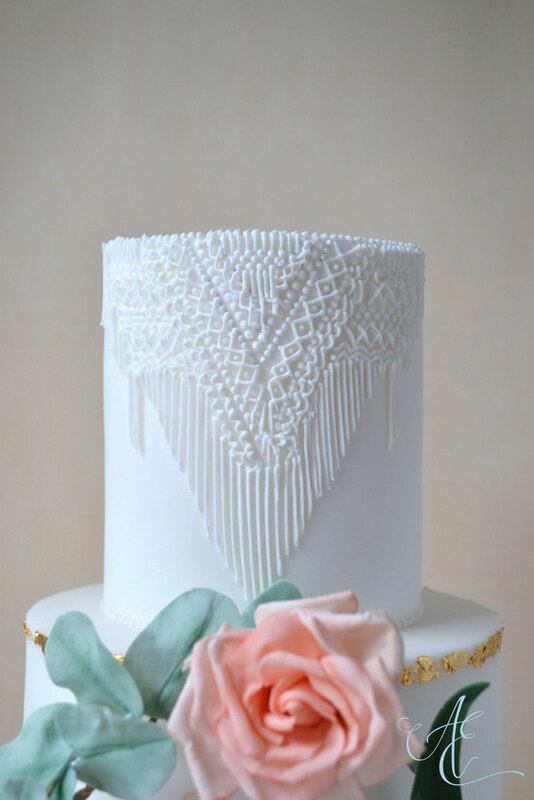 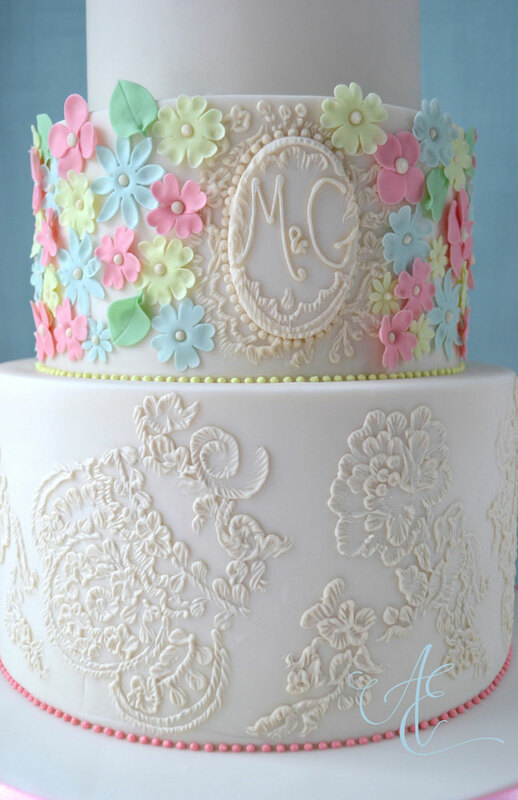 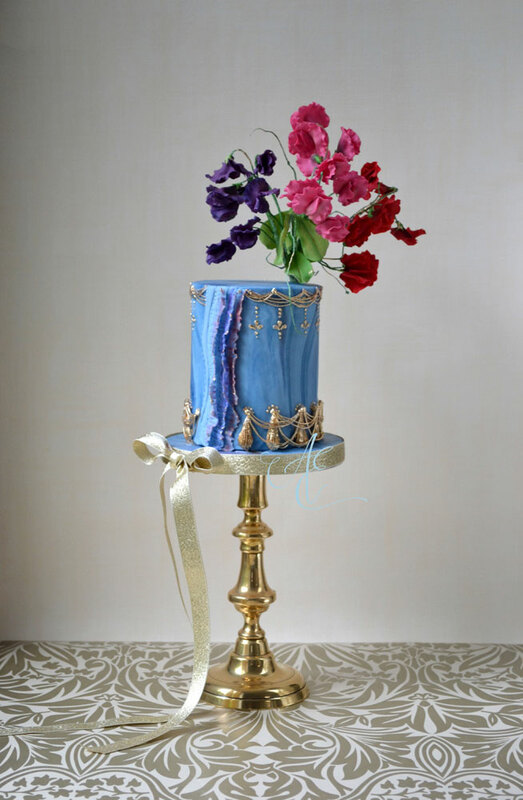 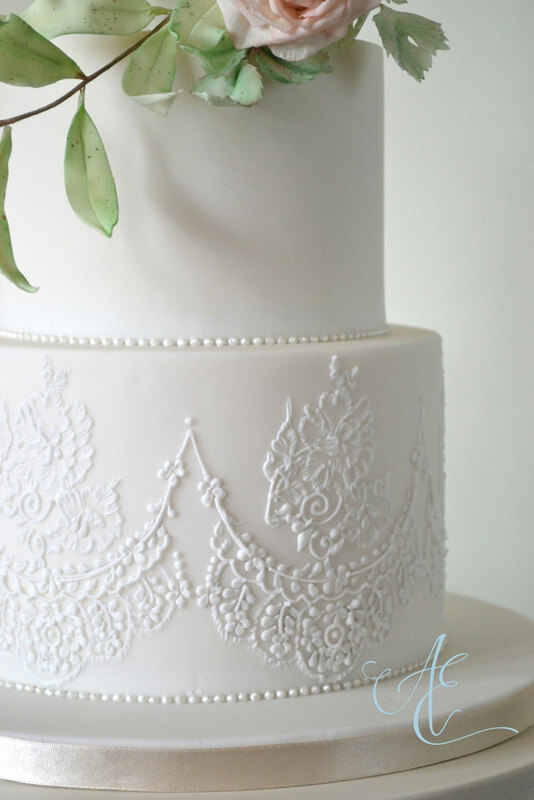 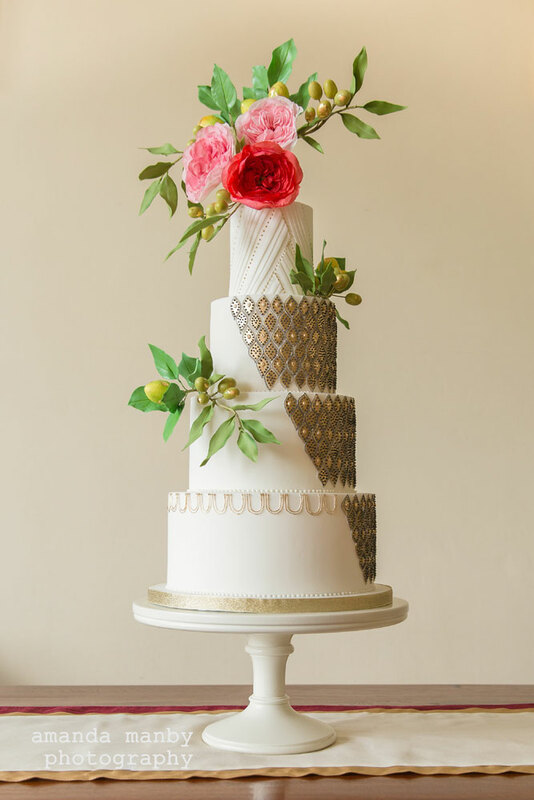 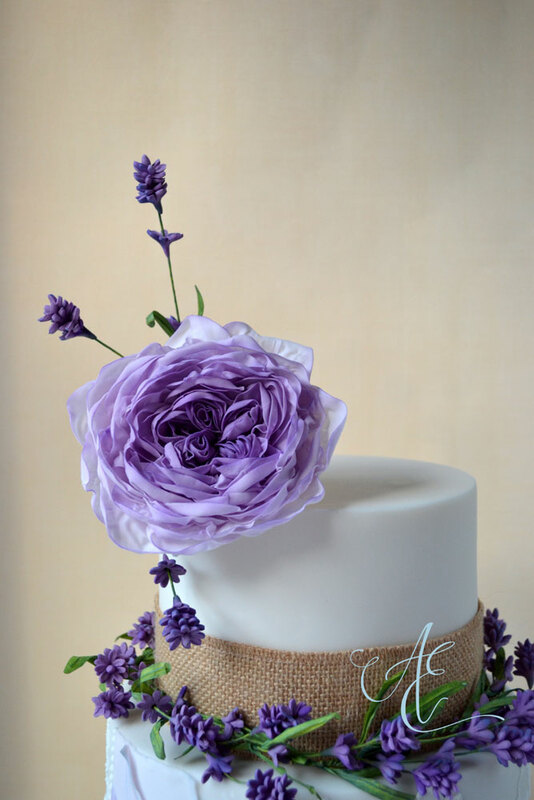 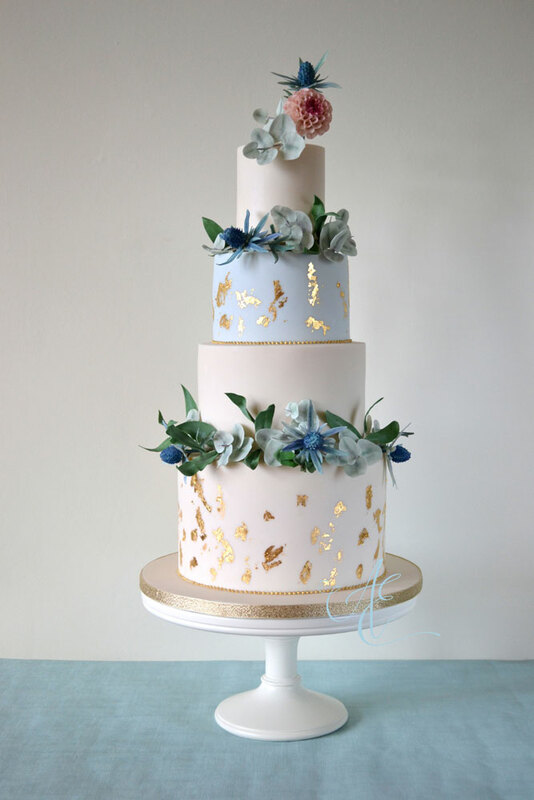 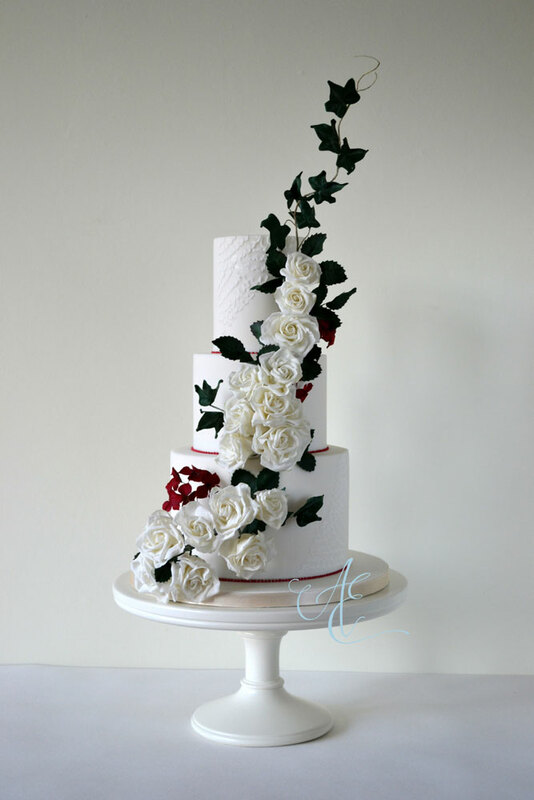 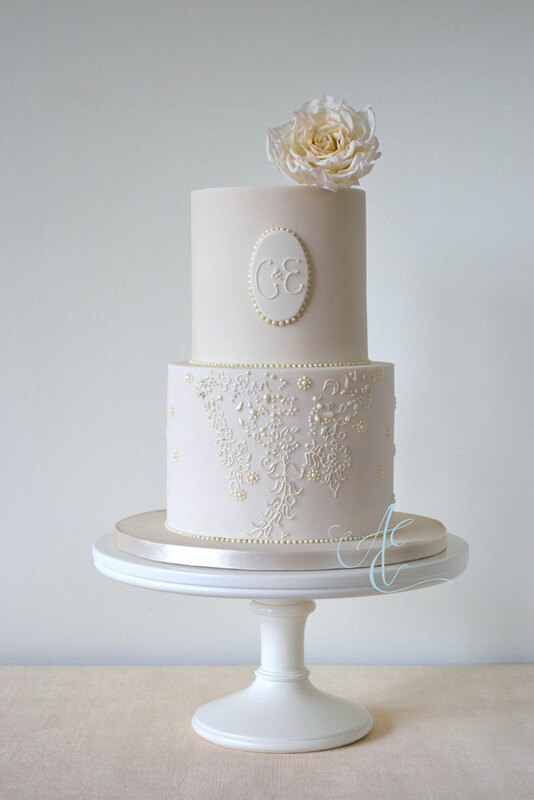 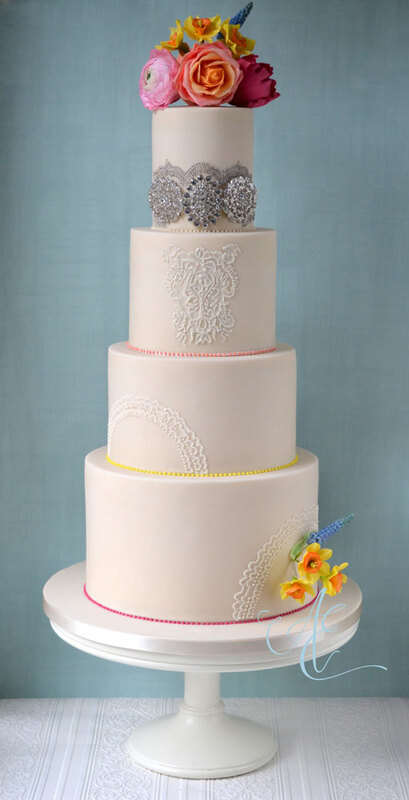 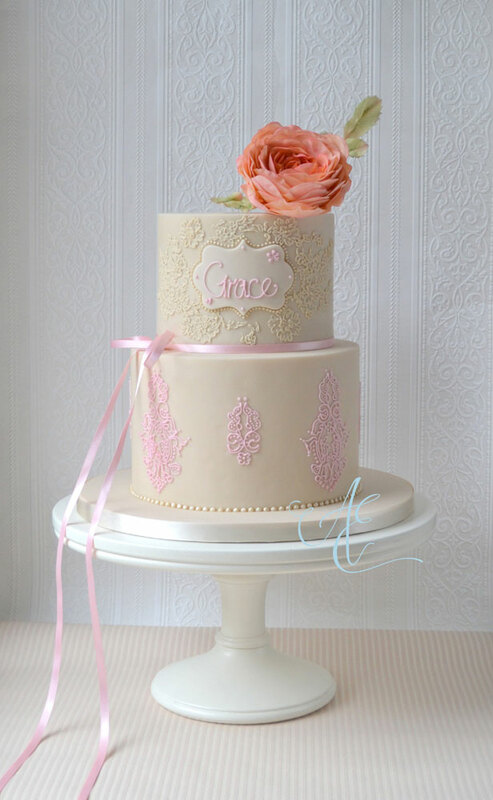 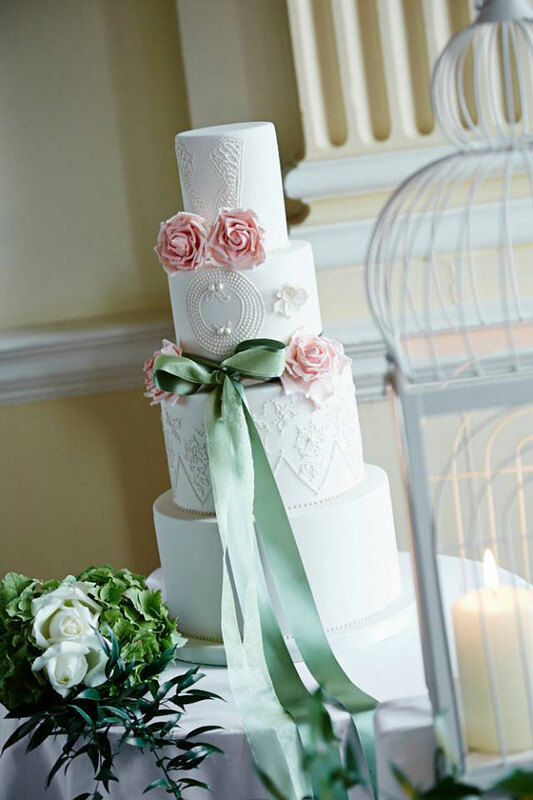 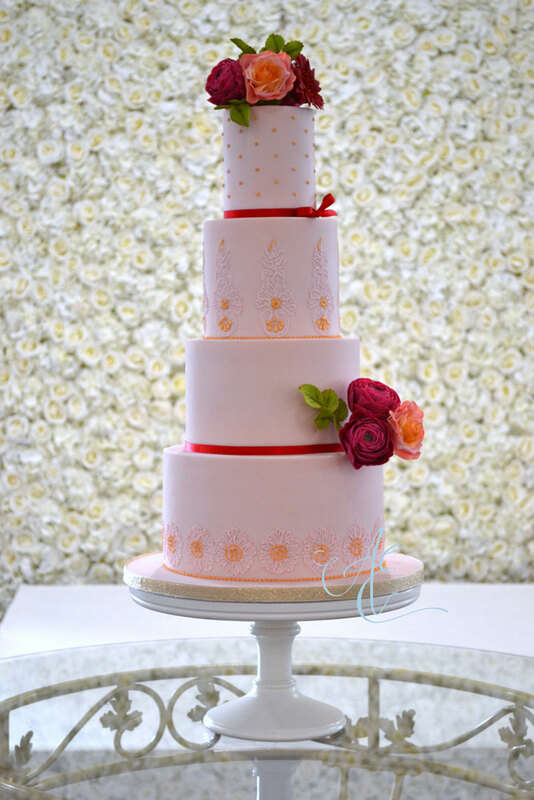 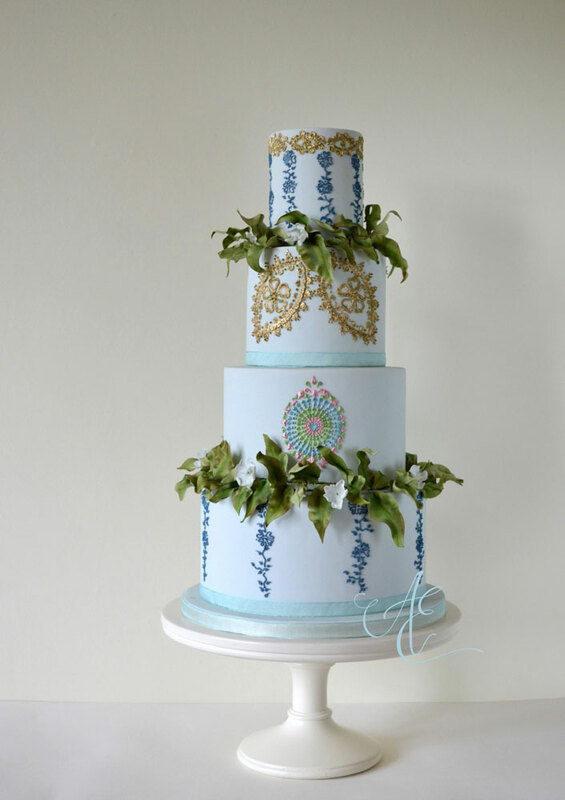 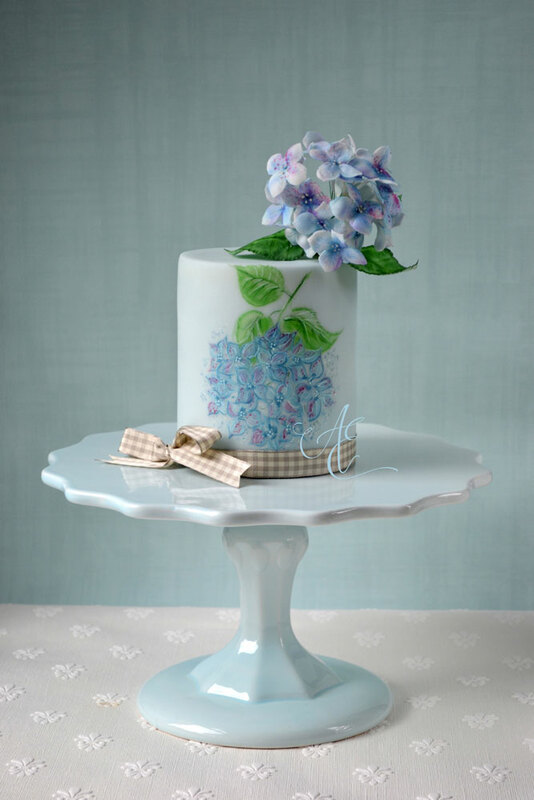 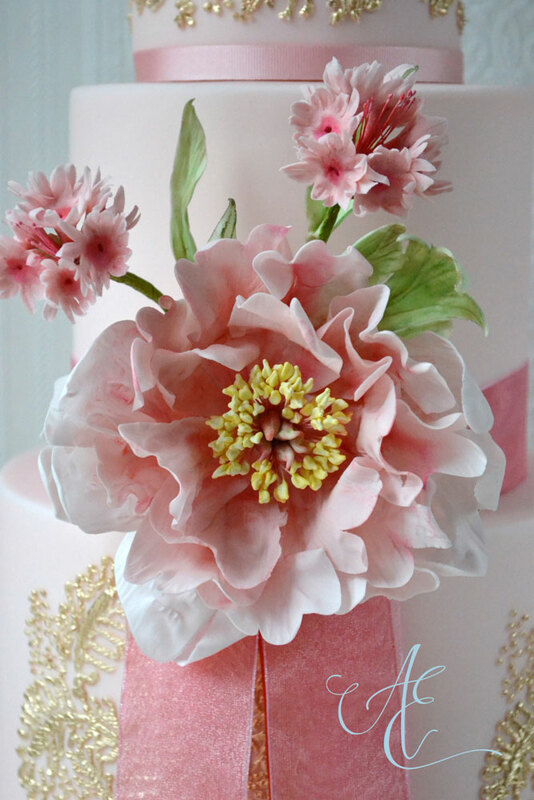 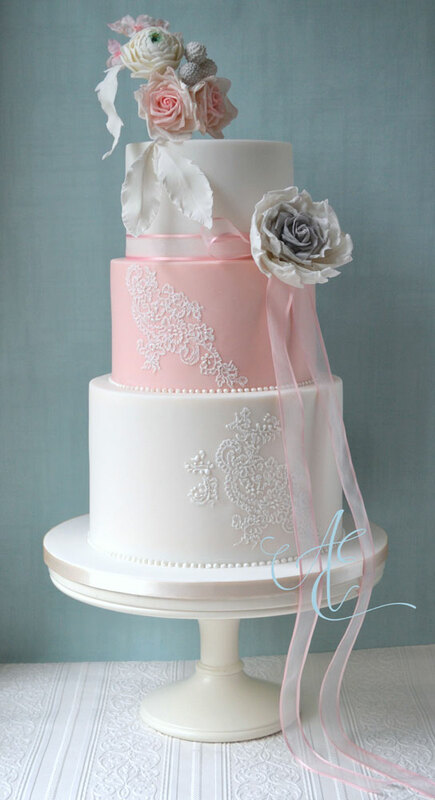 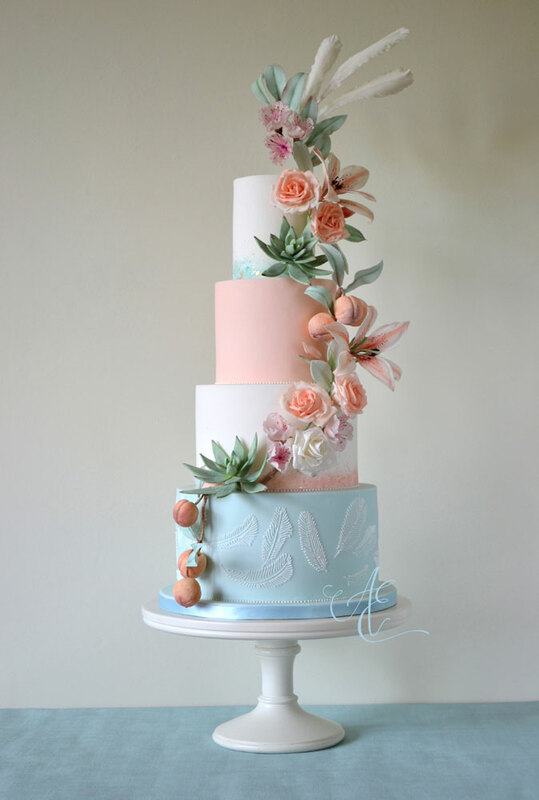 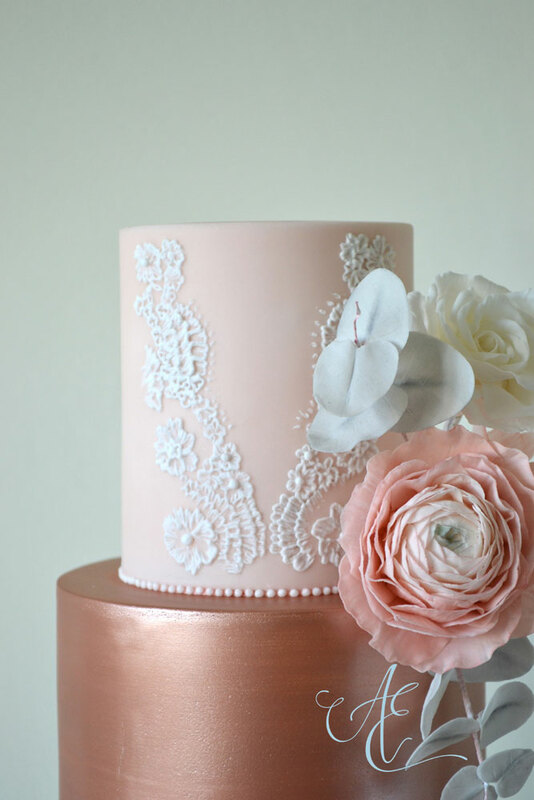 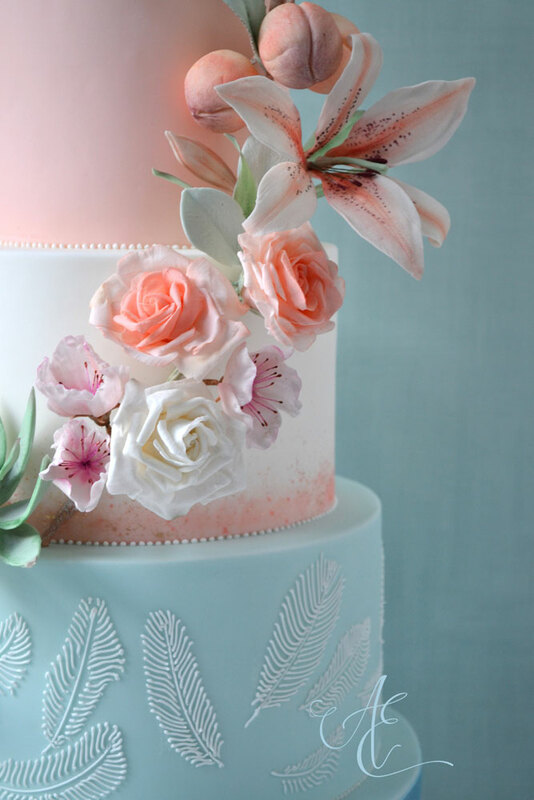 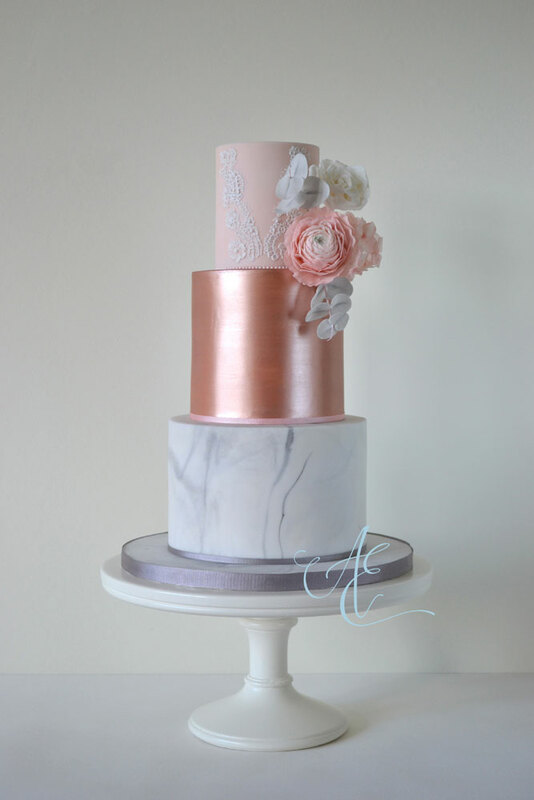 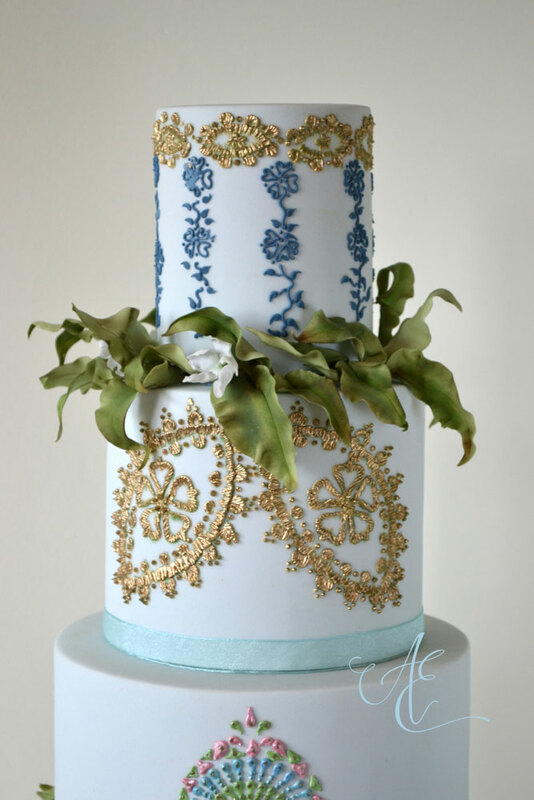 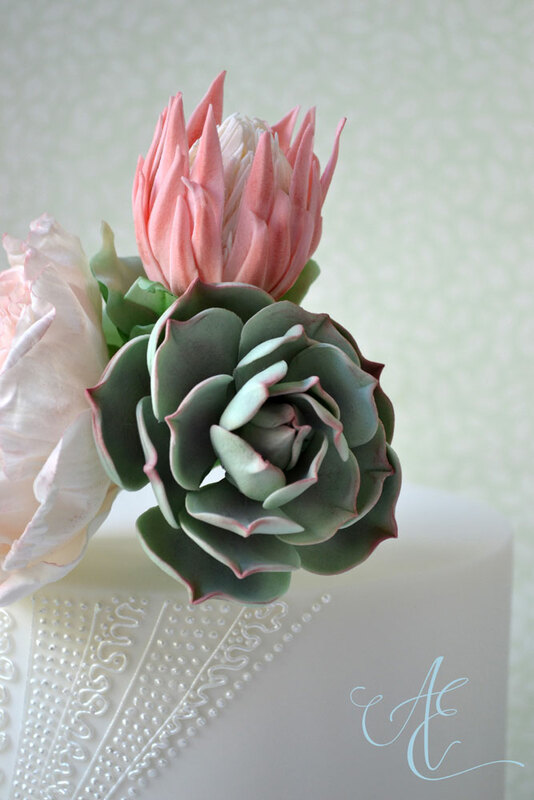 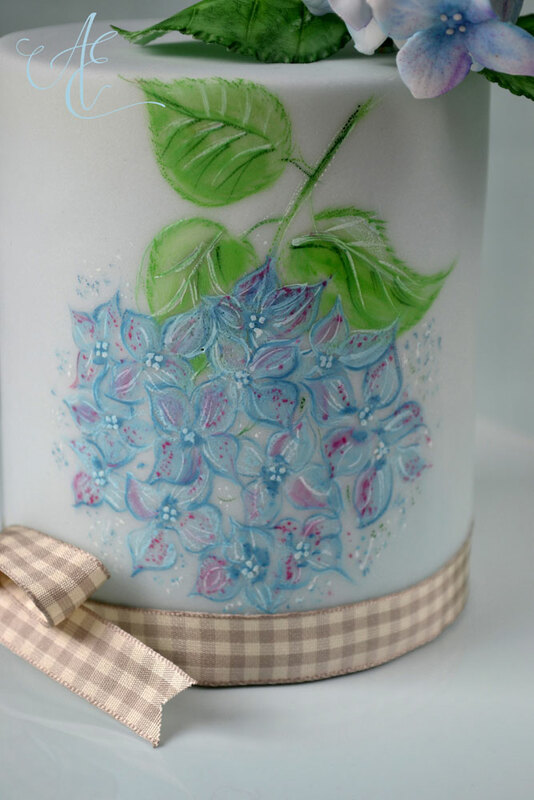 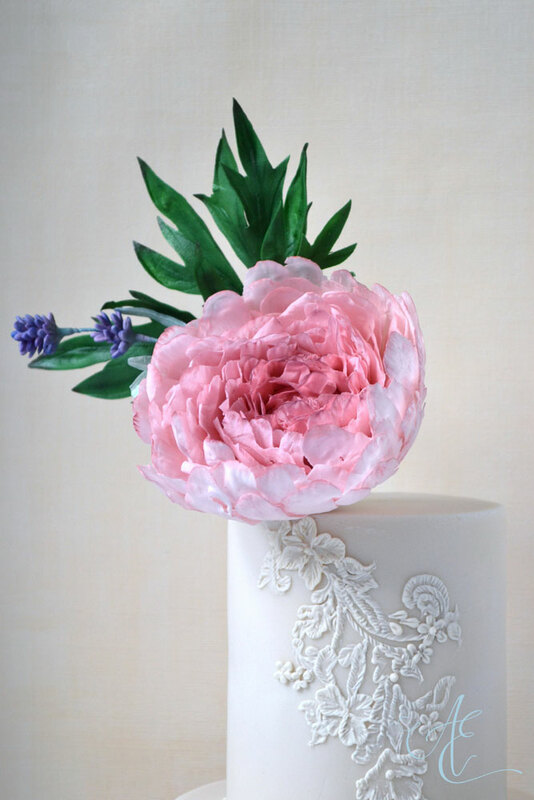 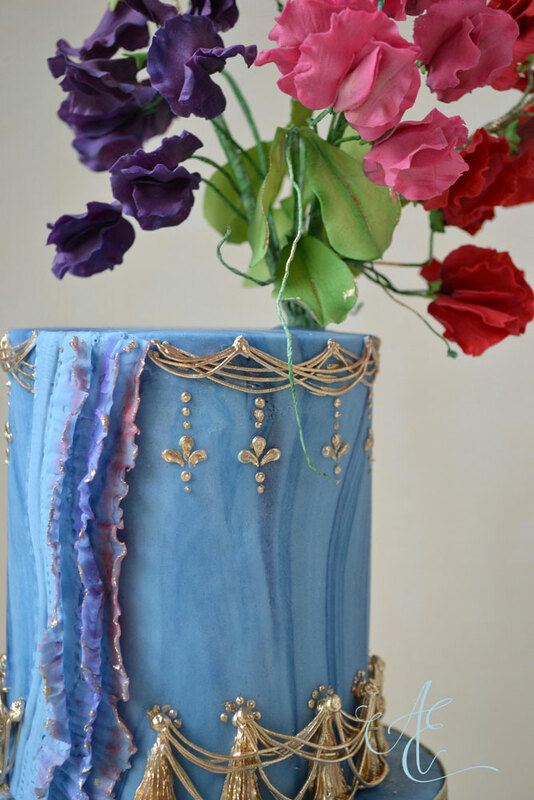 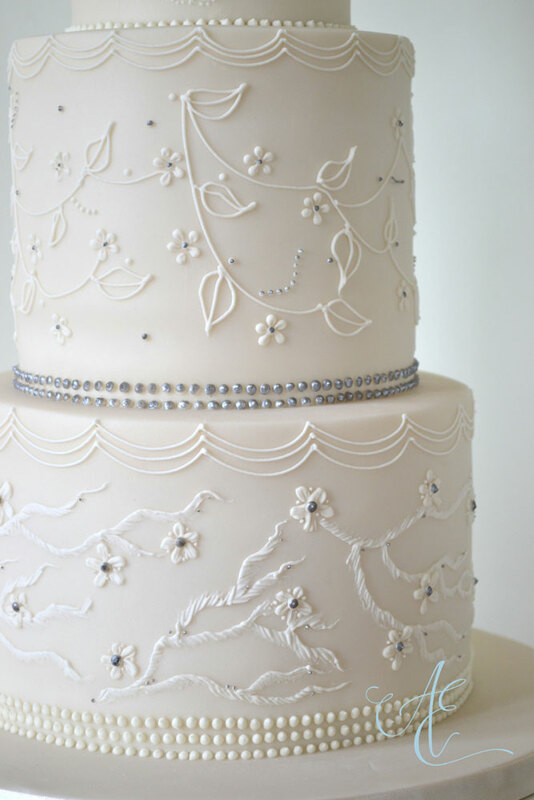 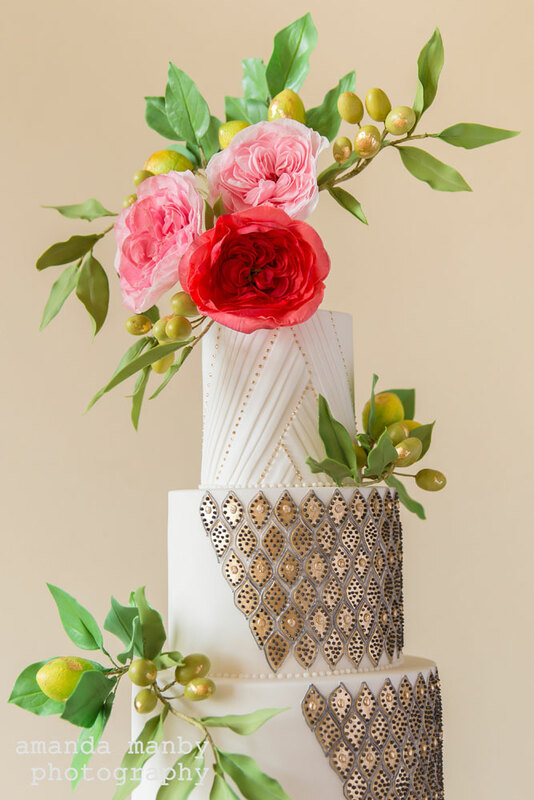 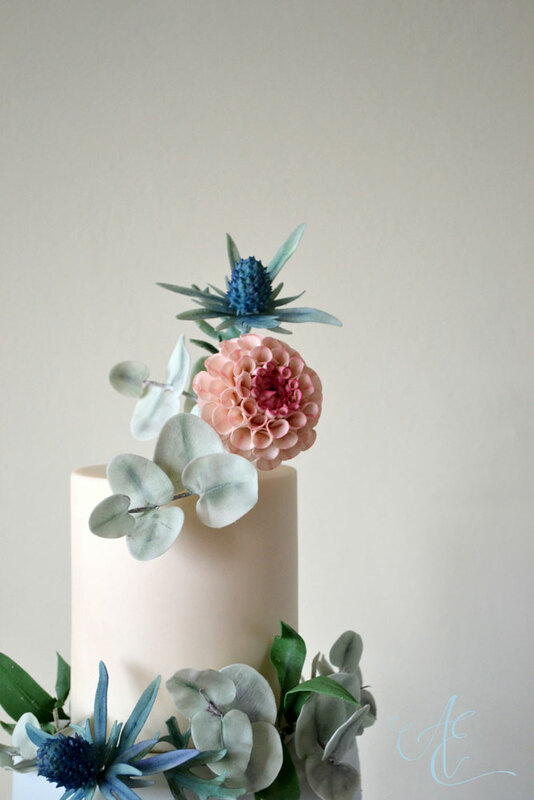 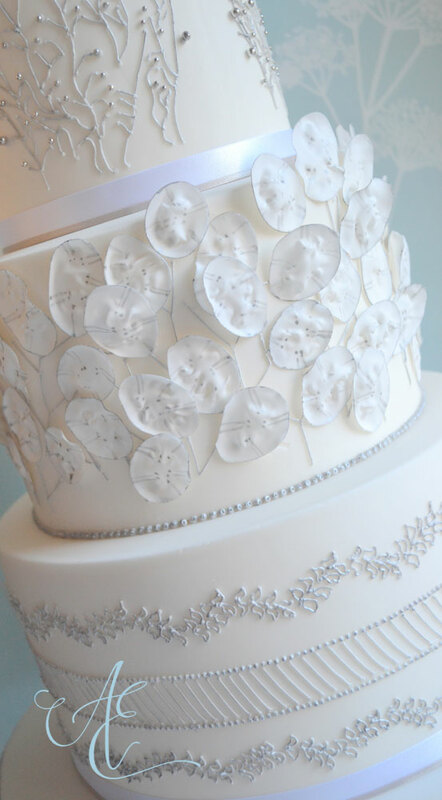 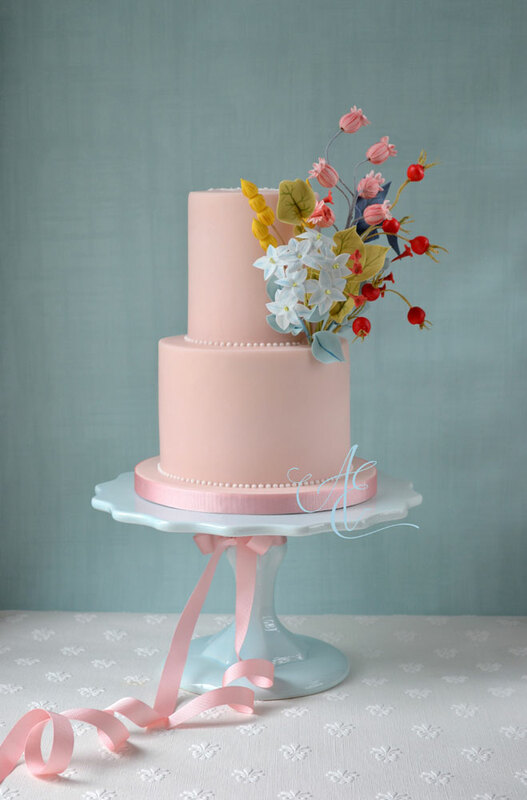 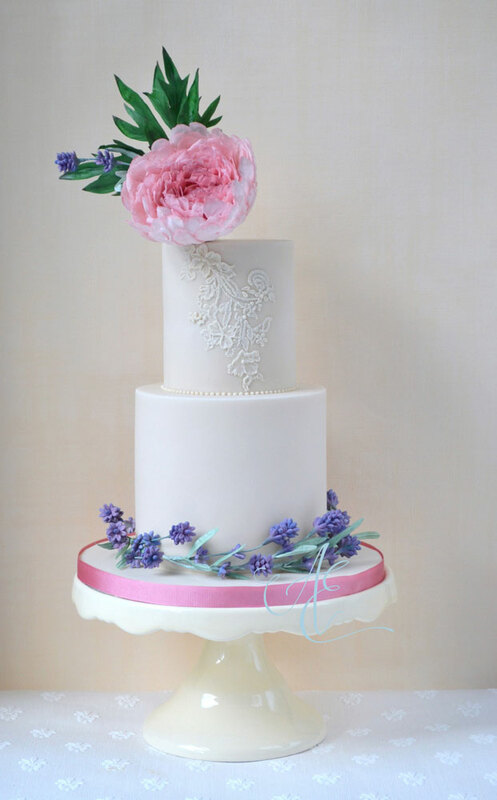 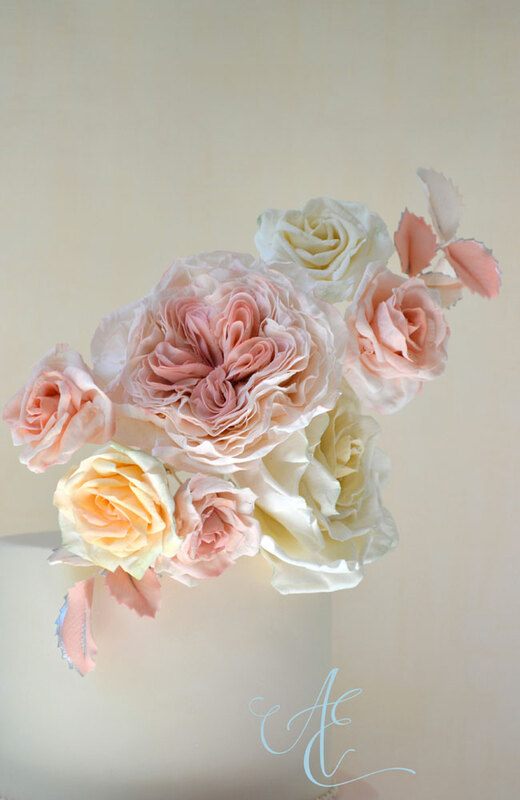 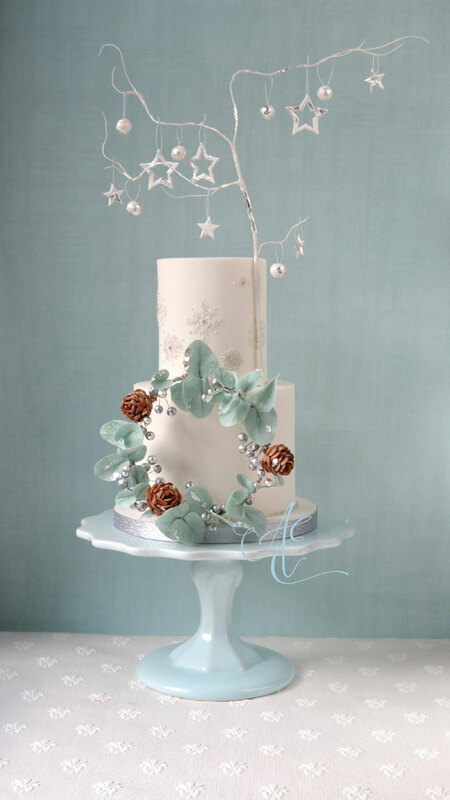 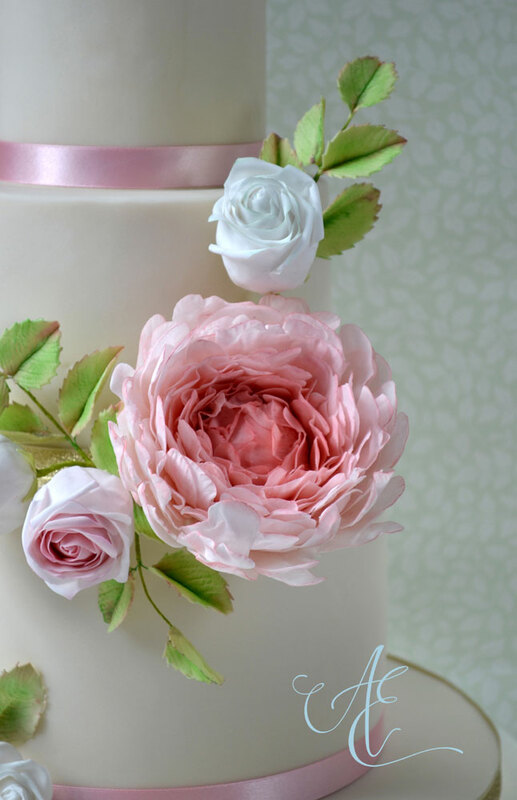 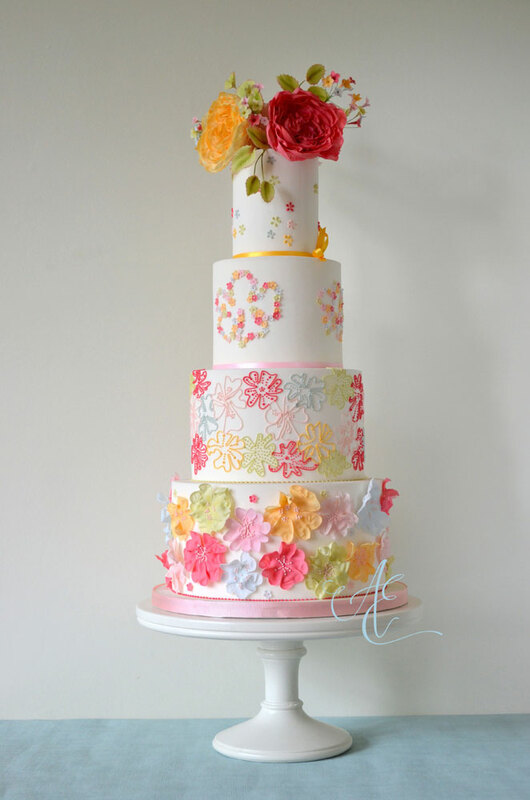 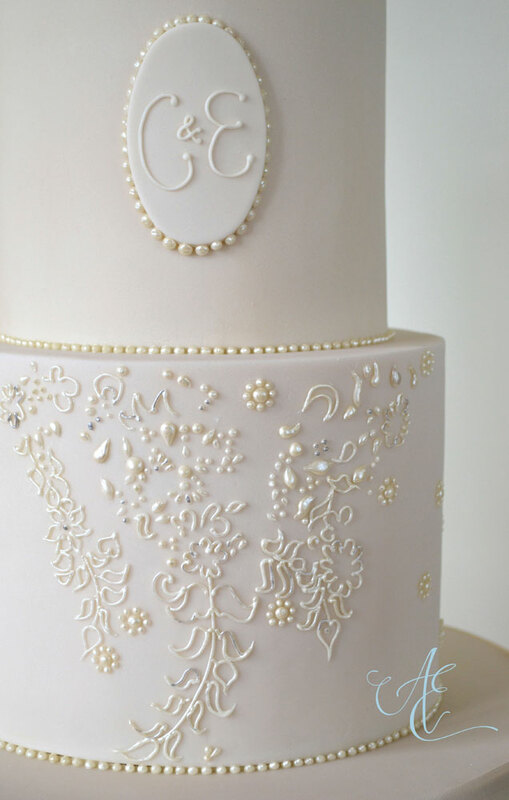 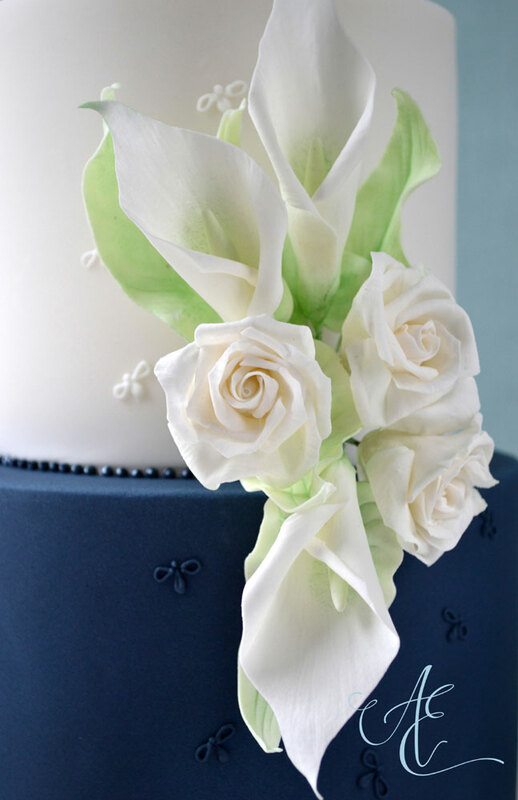 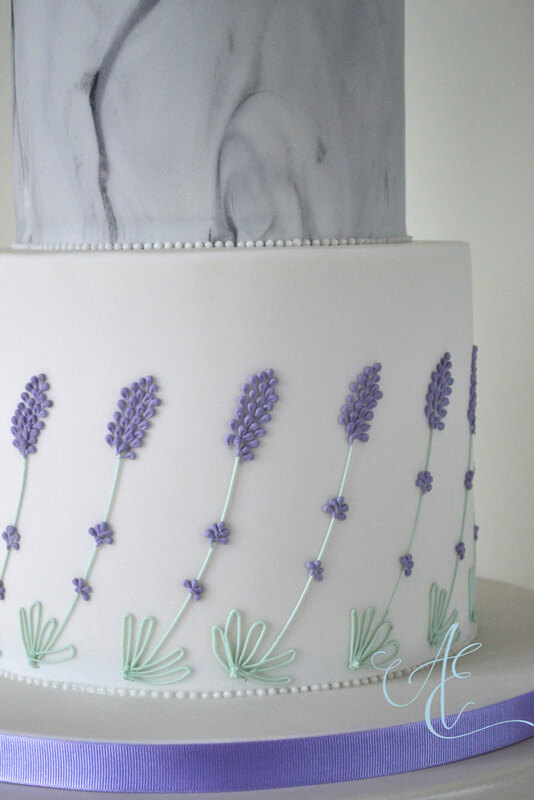 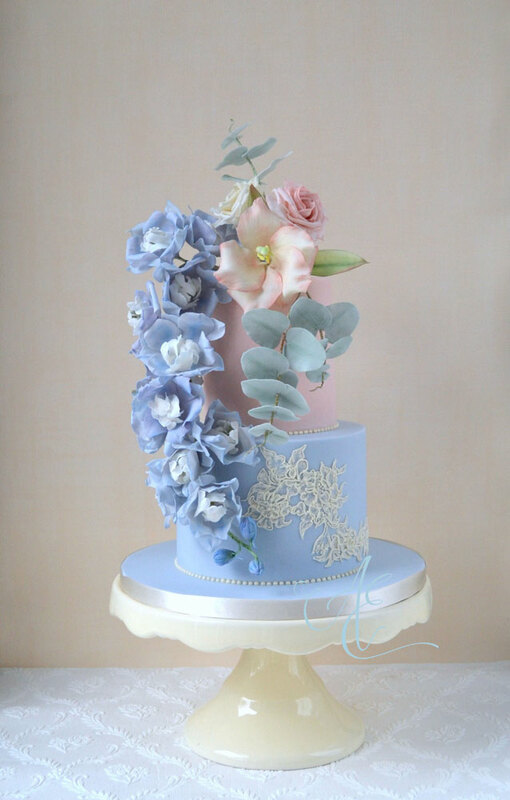 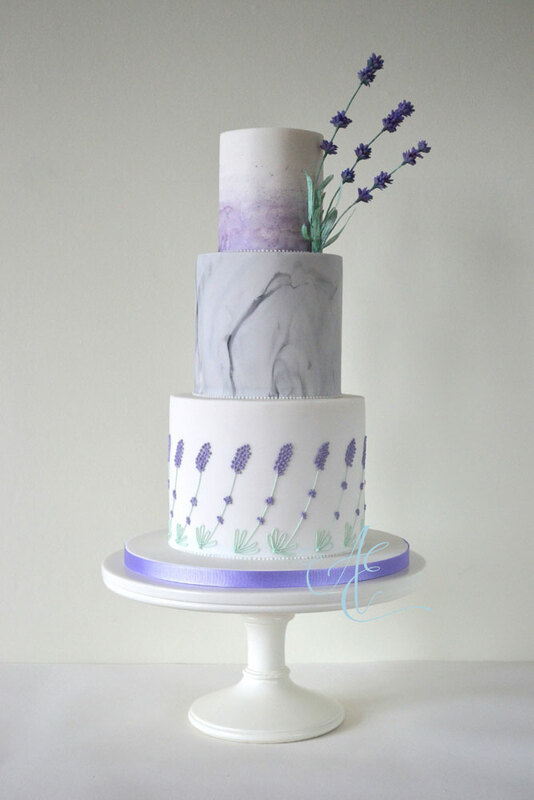 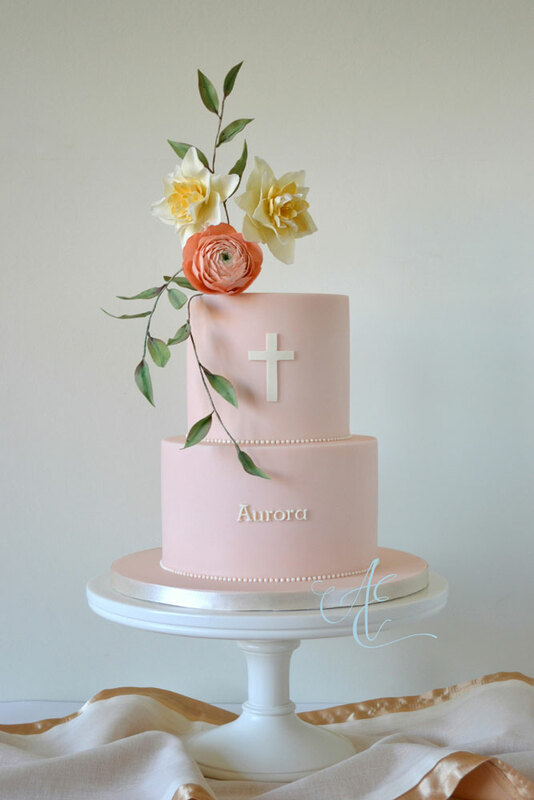 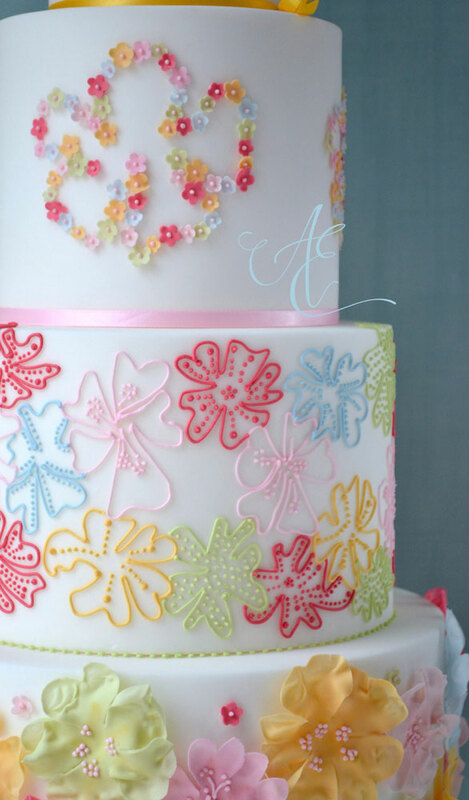 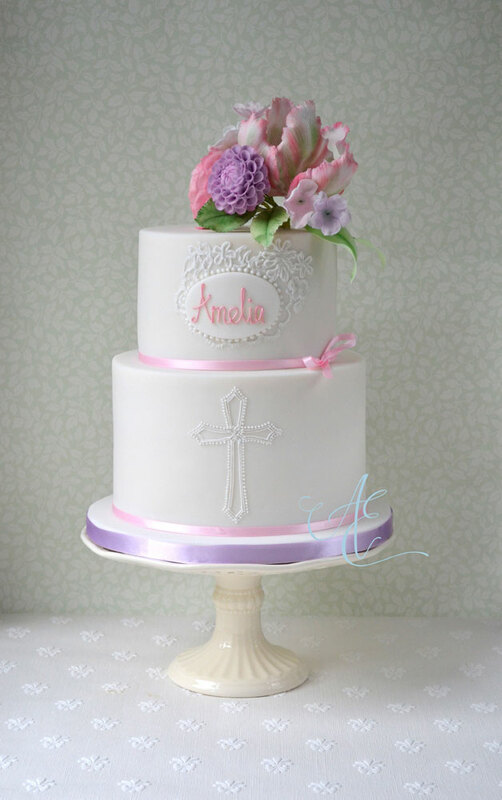 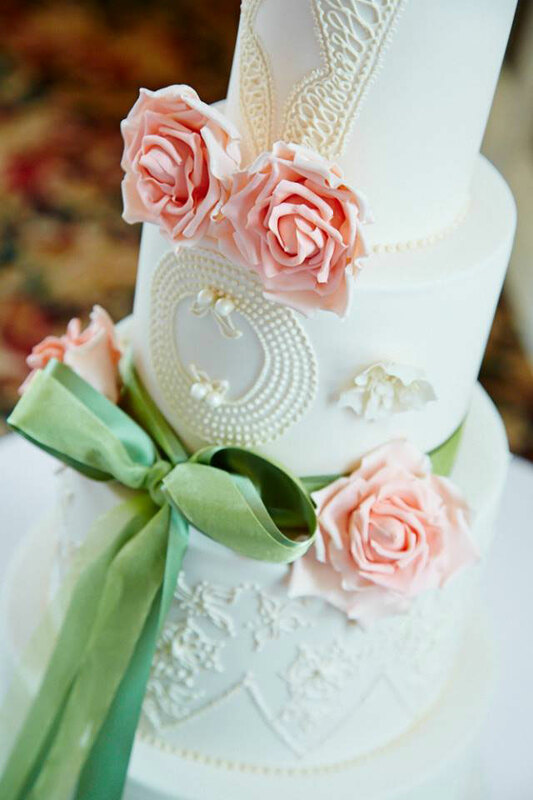 All flowers and foliage are handcrafted from sugar. 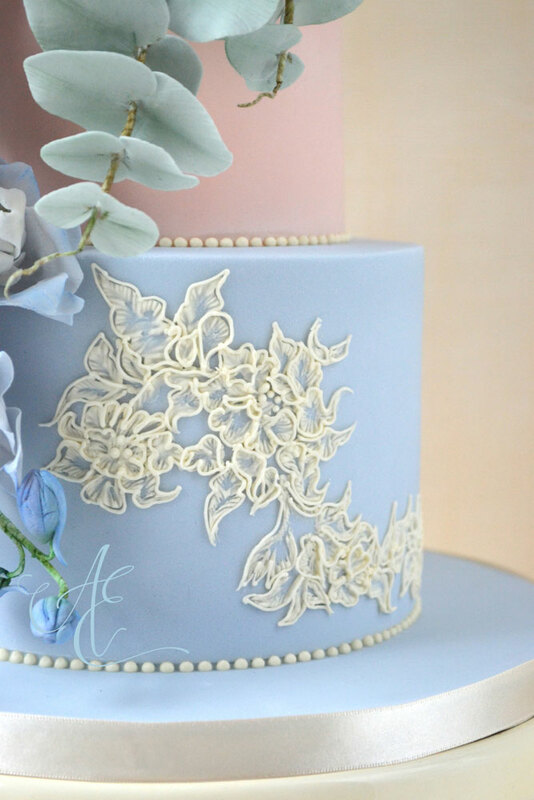 For more information on each design, simply tap (on mobile devices) or hover/click (on desktop/laptop) on the full images.